At 3:14 a.m. last Sunday, state police were called to a shooting at 370 G. Shelton Road. Troopers found Jeffrey and Barbara Nie in an upstairs bedroom. Jeffrey Nie had multiple gunshot wounds, while Barbara Nie had a gunshot injury. Hart County Coroner Reggie Pettitt pronounced Jeffrey Nie dead at the scene. Barbara Nie was taken to the University of Louisville Hospital, where she was in serious but stable condition, according to a release. 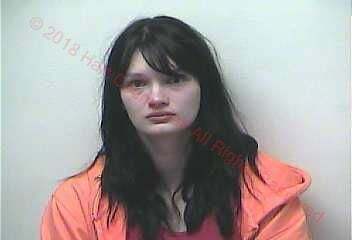 Brina E. Nie, 21, of northern Hart County, pleaded not guilty at her arraignment Monday in Hart District Court. A preliminary hearing – to determine whether probable cause exists to send the case to a grand jury – was scheduled for 8:30 a.m. April 9. What in the possible hell could have made her shoot her parents ala Lizzy Borden? Was he abusing her? Maybe the mother knew. Maybe she wanted the insurance money to support her drug habit. Maybe the mother is in on it and the wound wasn't deadly on purpose. Make your bets folks.